Bodean’s is a chain of Smokehouse restaurants based in London. To maximize table turnover, Bodean’s operate a walk-in only policy. Previously they used a clipboard and pen waitlist and would call customers by phone when a table became available. This waiting experience caused frustration for customers who felt that they were waiting endlessly for their phone to ring, with no updates or assurance that the staff had written down their number correctly. Whilst the process meant the door hosts were very fixed to the landline phone urgently calling customers back when a table freed up. They also had no way to know which customers had left the waitlist until they phoned them, which caused a lot of wasted time and anxiety. Bodean’s use Qudini’s Restaurant Waitlist App to allow their host managing the door to greet customers with an iPad to take their details into the digital waitlist. 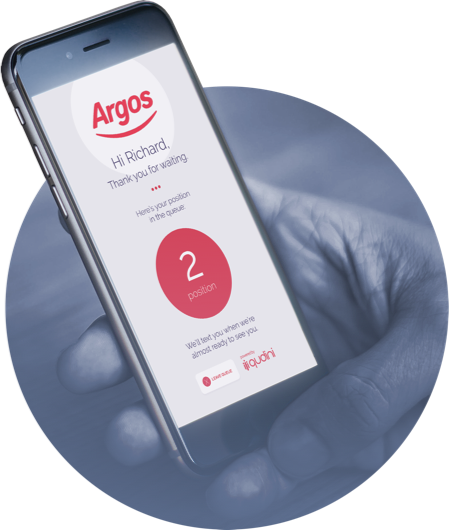 The customers will receive a text confirming they are on the waitlist with a Bodean’s branded queue tracker weblink, where they can keep an eye on their position and view menu whilst they wait in a nearby pub. If the customer wishes to cancel they can text back any time.